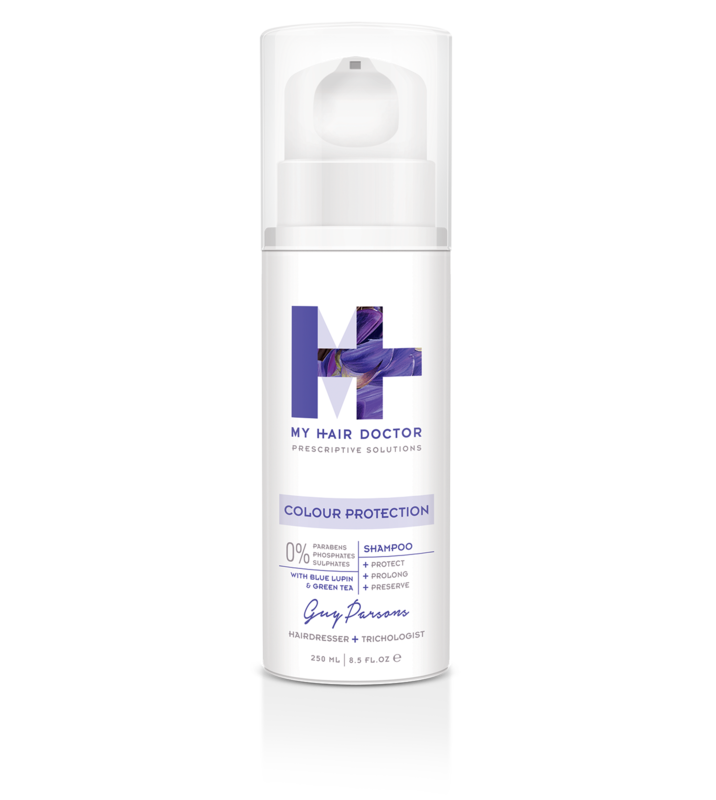 My Colour Protection Shampoo is rich in anti-oxidants, with light reflective technology to help keep your hair colour vibrant and lasting longer. This gentle, non-stripping formula contains Green Tea to help seal the cuticle; adding shine, and Blue Lupin which gives softness. 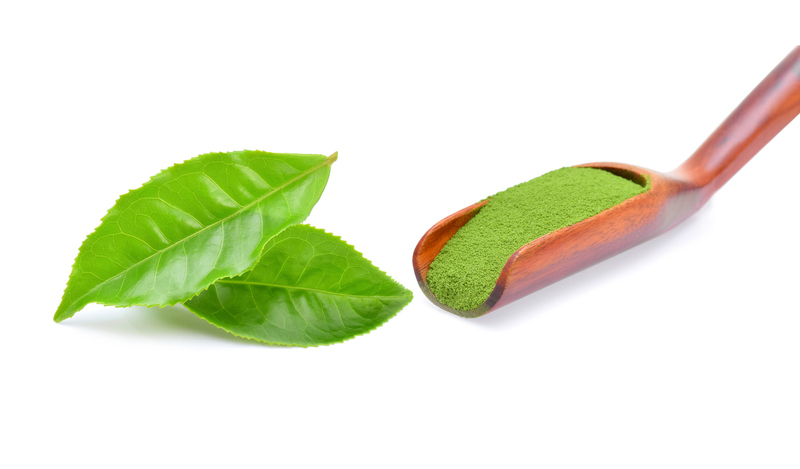 (Green Tea) A purified fraction of green tea polyphenols, Denoxyline is a powerful quencher of free radicals. 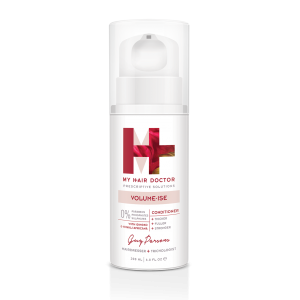 Thanks to its anti-oxidant and chelating activities, it is able to protect the hair colour efficiently against external stress. 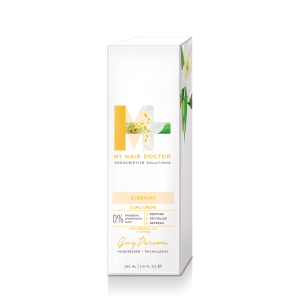 Rich in Oleic and linoleic fatty acids and containing Vitamins A, B1, B2 and B6; this oil is used for its penetrating, smoothing, softening and moisturising properties for dry and brittle hair. 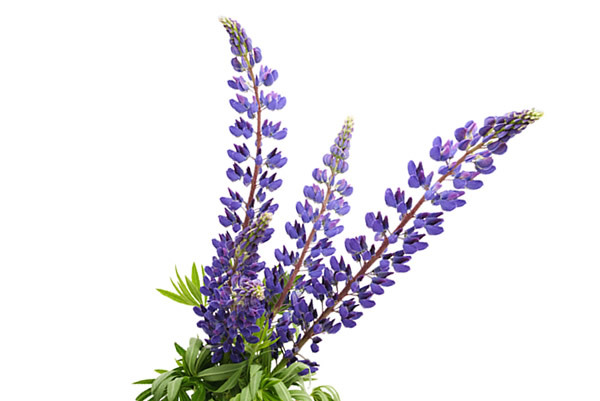 (Blue Lupine): A plant based peptide solution made by enzymatic hydrolysis of lupine proteins and used as a gluten free film former to improve hair condition. 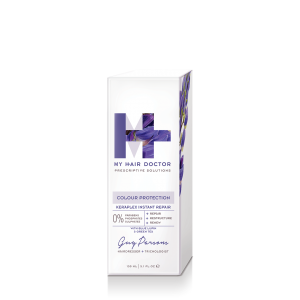 My Hair Doctor Colour Protection collection revives and restores colour treated hair with fabulous ingredients such as Shea butters, Argan and Jojoba oils that give radiance and repair. 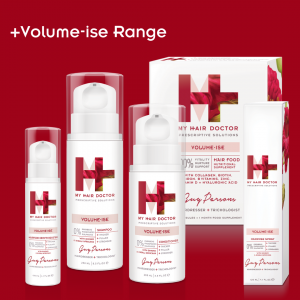 The range has an anti-ageing Botanical Complex of Blue Lupin and Green Tea improve hair condition and colour by reducing colour fade. 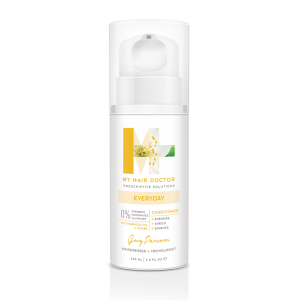 Shampoo that preserves and protects, Conditioner that nourishes and nurtures. 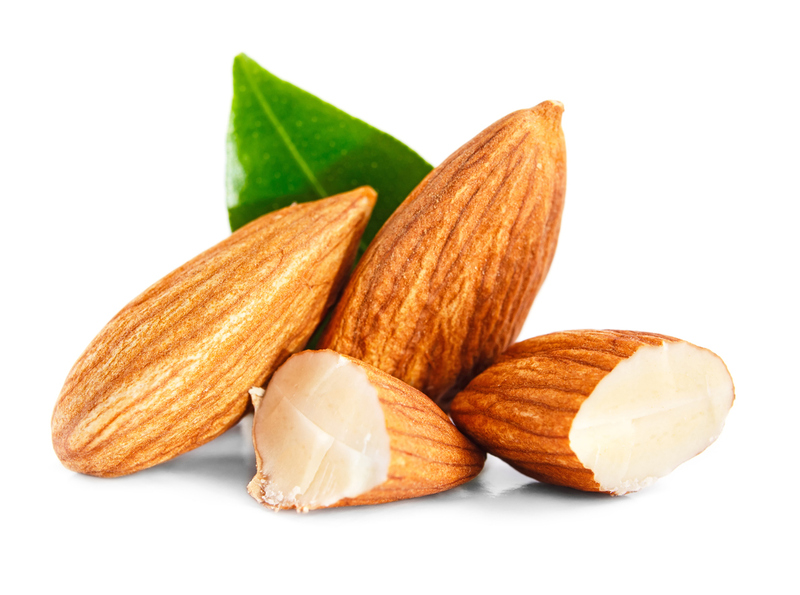 Mask Intense that moisturises and maintains. 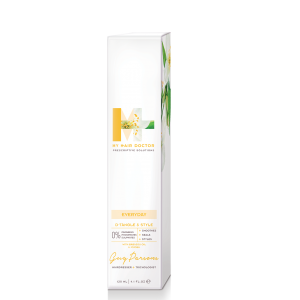 Keraplex which is a wonder product that repairs and revitalises and Liquid Gold Hydrating Oil that softens, strengthens and restores shine and smoothes. 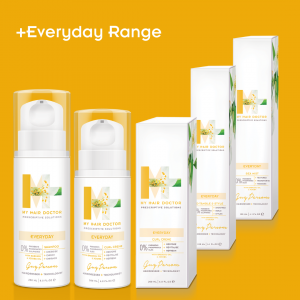 Try the whole range for the ultimate Colour Protection. 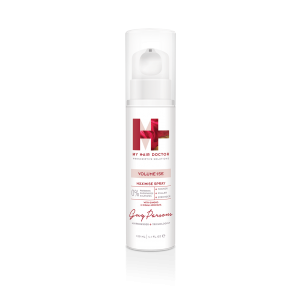 USE: Apply to wet hair and scalp, lather. Leave for 2 minutes. Rinse thoroughly. Repeat if necessary. 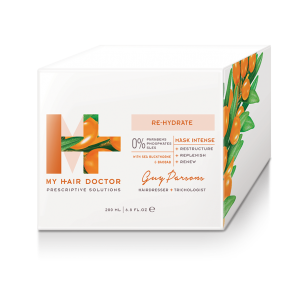 Follow with My HairDoctor Re-Hydrate Conditioner. CAUTION: Avoid contact with eyes, rinse with water if contact occurs. 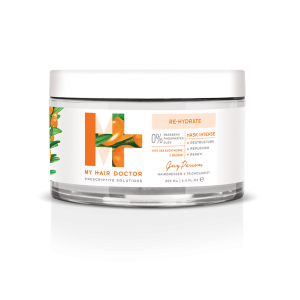 INGREDIENTS: Aqua (Water), Sodium Lauroyl Methyl Isethionate, Coco-Glucoside, Cocamidopropyl Betaine, Acrylates/Palmeth-25 Acrylate Copolymer, Polysorbate 20, Benzyl Alcohol, Sodium Chloride, Glycol Distearate, Laureth-4, Olive Oil PEG-7 Esters, Phenoxyethanol, Parfum (Fragrance), Polyquaternium-10, Glycerin, Mica, Coconut Acid, Butylene Glycol, Disodium EDTA, Sodium Hydroxide, Dehydroacetic Acid, Limonene, Citronellol, Camellia Sinensis (Green Tea) Leaf Extract, Hydrolyzed Lupine Seed Extract, Formic Acid, Gluconolactone, Sodium Benzoate, CI 77891 (Titanium Dioxide).